Auto accidents can happen in the blink of an eye, and without ample auto insurance coverage, drivers in Las Vegas, Nevada, may face legal and financial problems. While auto insurance can be a major expense for many drivers, understanding the different coverage options available, knowing what types of coverage are required and understanding exposure to risk can help drivers determine how much auto insurance coverage they should carry. 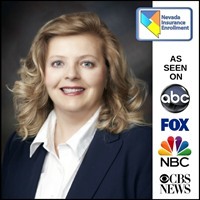 Nevada Insurance Enrollment can help Las Vegas, Nevada drivers obtain high-quality auto insurance at an affordable premium. 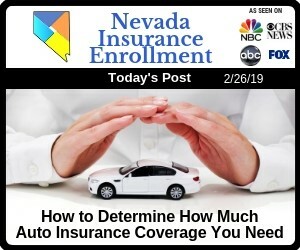 Nevada Insurance Enrollment auto insurance agents take into account numerous factors when helping customers determine how much auto insurance coverage they need. Some of these factors include how much the customer drives, where they park their vehicle at night, whether they drive for personal or commercial reasons and who else may drive their vehicle. These are just some of the elements that influence how much auto insurance a driver should carry. There are several types of auto insurance coverages that a driver may consider carrying to cover damage that they sustain in an accident, whether or not they are the responsible party in a collision. These auto insurance coverage options include comprehensive, collision, uninsured/underinsured motorist and personal injury protection. In the state of Nevada, before a driver can legally register their vehicle, they are required to purchase liability auto insurance. This type of insurance provides coverage for damages incurred by the other driver if the policyholder is at fault for a collision. State law requires that automobile liability insurance policies carry minimum coverage of $25,000 for bodily injury for one person per accident, $50,000 for bodily injury of two or more people per accident and $20,000 for property damage of the other driver. In addition to state minimum coverage, some drivers may be required to carry additional types of auto insurance coverage. In some cases, drivers who lease or finance a vehicle may be required to carry comprehensive and collision coverage. The purpose of this is to ensure that the vehicle is kept in good condition, thus protecting the interests of the lender or leasing company. This information is generally found in the loan or lease contract. Car accidents can happen very quickly, and a major collision can result in tens or even hundreds of thousands of dollars in property damage and medical bills. Without sufficient auto insurance coverage, a driver may be vulnerable to extreme financial hardship, as well as potential lawsuits. A robust auto insurance policy ensures that is a driver is in a collision, whether or not they are the responsible party, they won't have financial difficulties in addition to the stress of the accident itself. Carrying the right amount of auto insurance is essential and can ensure that is the unexpected happens, a driver's bank account won't bear the burden. Nevada Insurance Enrollment specializes in helping drivers in the Las Vegas, Nevada, region acquire the coverage that they need for full legal and financial protection.